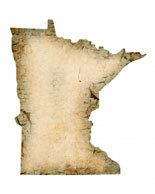 Viatical settlement providers are affected by a new bill in the State of Minnesota. The new bill is referred to as SB 1539 and it re-writes the present bill relating to viatical settlement providers and brokers, who must be licensed, but not bonded. SB 1539 sets a requirement for financial responsibility in relation to licensure, for which a surety bond will be authorized. The Insurance Commissioner establishes the quantity of the bond required. The new bill states that the Insurance Commissioner will allow proof that financial instruments that comply with the new bill have been filed with at least one state where the applicant is licensed as a viatical settlement provider/broker. Alternative financial instruments that are allowed in Minnesota are cash, certificates of deposit, or securities, which can be utilized in any combination, including the surety bond. Get Your Surety Bond Fast!